Credits cards are believed to be one's best friend in times of need and crisis. Yes, they also prove to be one sometimes. However, the million-dollar question is: Is this reason good enough to own a credit card? 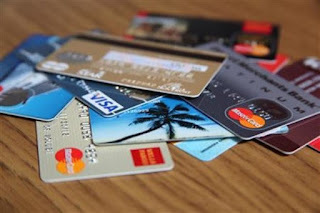 ever realised that if credit cards can help you build your credit history and score, they can also ruin them forever if used recklessly, because of which you won’t be able to take a personal or home loan ever in your life? Are you also aware that crores of people the world over have fallen into a debt trap because of credit cards only, which has not only ruined many homes, but has also forced many to commit suicide? Why? Because credit cards work on the principle of ‘Spend Now and Pay Later’ – which induces a majority of people to spend more than what they actually earn, sometimes to impress someone and sometimes simply to maintain their ‘social status’! And they realise their folly when it is too late! You may wonder – What is wrong in spending now and clearing the dues later? May be nothing ‘wrong’, until you realise that while you can pay off your personal loan in months and a few years, it may take even decades to clear your credit card dues if you keep paying only the minimum amount due? According to one rough estimate, if your credit card outstanding balance is Rs 2 lakh and the interest charged is 40%, then it will take about 15 years to clear your dues if you continue paying only the minimum amount due each month. And if you keep delaying this payment just by a few days (on which late charges are levied every month), then you may not be able to clear the dues in your lifetime also! Credit card interest rates are high, which can make financing your purchases even more over board. “Credit card companies charge interest rates on some cards that more than double that rate and when you tend to borrow money at these double-digit interest rates, it isn’t going to help your situation. If you don’t have the money to pay cash for something in the first place, you probably don’t want to make it even more expensive by adding high interest to the price,” Abhinav Angirish, Founder, www.investonline.in. People tend to spend more money when paying with credit than they would with cash. This is because buying a product just doesn’t seem as big a deal if you just sign a receipt. “Practically if you don’t have to think about paying for that product for a month, this will encourage you to splurge more!!! If you pay with cash, however, you can physically feel the rupee notes leaving your hand, giving you a better sense of not only how much it truly costs, but also how much money you have left in your now-lighter wallet,” says Angirish. With hidden charges and prohibitive interest rates, credit cards often push many people deeper into debt, getting out of which becomes difficult after a point. This is no longer a secret!. If you actually read the terms and conditions when you sign up for a credit card, you’d likely be surprised at how many things you are not aware of regarding using a credit card. The small fine print will reveal that the company can increase at any point the interest rate, fees, penalties with a short notice of up to 2 weeks to the clients. Lower credit score determines a lot more than what interest rate you will be paying now. “If you lower your credit rating because of unpaid credit card debt, then you can expect to pay significantly more money in the future, when you opt for an important loan, like a home loan. Also, in some cases you won’t be able to get any loan also. For instance, if you default on your payment or get a credit card settled,” says Angirish. If you don’t owe anyone money, you won’t have to worry about delayed payment, penalties, fees, interest, credit score etc. This peace of mind is more important than the product itself. Why to lose your peace of mind just for the sake of increasing the business of someone else or buying a thing which you really don’t need?